Huge Spring Sales Event on designery signs cheap static clings. We offer free ground shipping and free pre-printed samples so you can touch and feel the quality of our products. deSIGNery has been a BBB Member since 2004 and have maintained an A+ rating since joining. Customer satisfaction on items like cheap static clings is what brings our customers back year after year. Click on the BBB logo above to leave a customer review or just to check our impeccable record. BBB Accredited Businesses like deSIGNery pay a fee for accreditation review/monitoring and for support of BBB services to the public. Cheap in price not in quality! 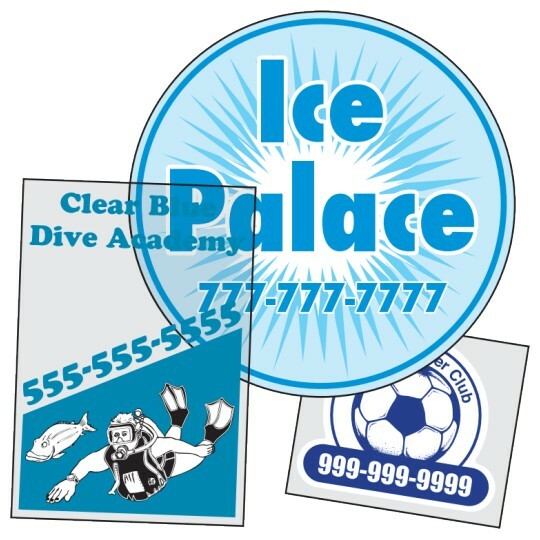 Our cheap static clings are created with the highest quality materials and inks. Our material used for this product has no adhesives so is best when used in a temperature controlled environment such as inside car windows or your home and business windows. These can be facing in or facing out or to have the best of both worlds order our double sided products. These can be ordered as one color or full color. Email us your art and we will offer you a free quote. There are many uses for our cheap static clings. These are great for interior window permits, we even offer them with consecutive numbering for organization. Inside your business is a great place to show what organizations or clubs you are affiliated with. 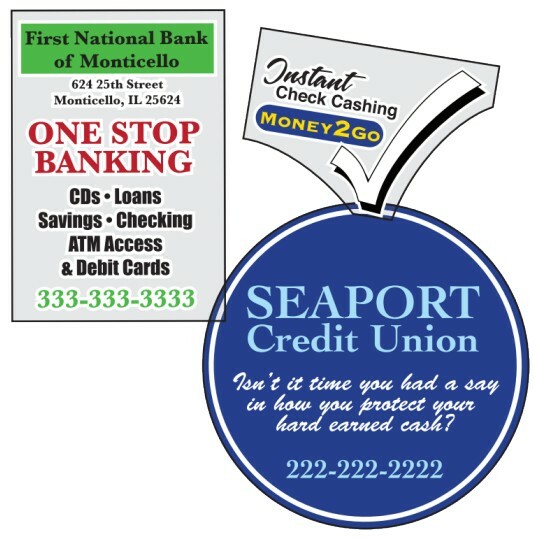 You can even get them double-sided so that your customers can see them entering or leaving. A great idea is to create them as back clings and apply them to mirrors, this would be a great way to advertise. These are just a few of the many ways this product can be used. Contact us today on this once a year Spring sale! All prices for cheap static clings have been reduced for this yearly sale and will go back to the original price after 5/31/2019. Sale prices include free basic layout, email proofs, complete quotes along with suggestions for a more cost effective alternative if applicable and FREE Shipping. Our design staff can answer your questions and concerns. Click here to get a conversation going and discover the ease and professionalism of the deSIGNery sign specialist.